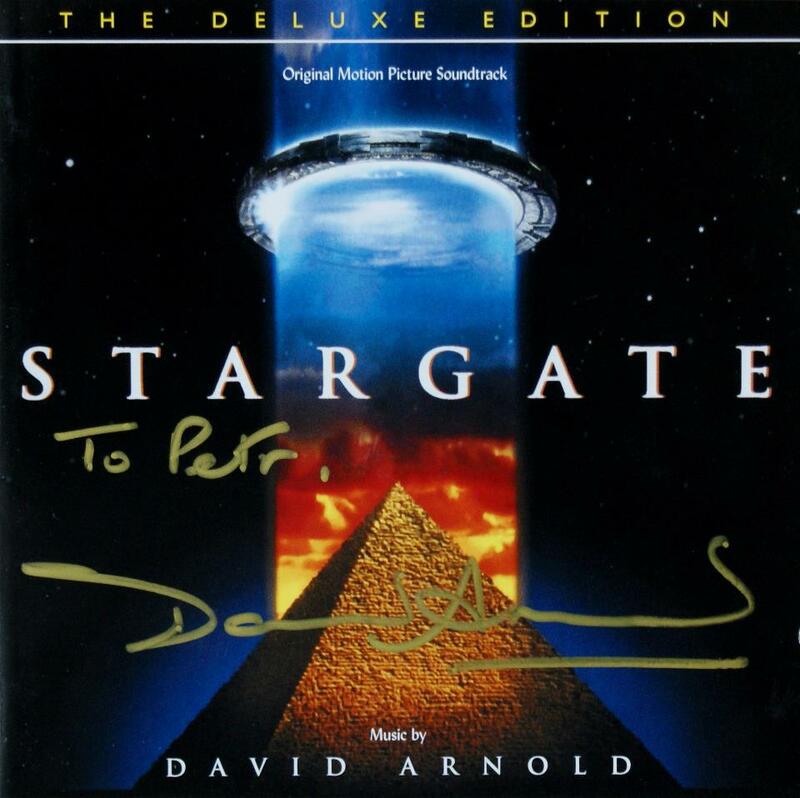 David Arnold first came to the attention of the public through his work on Stargate and Independence Day which were hugely successful box-office hits. 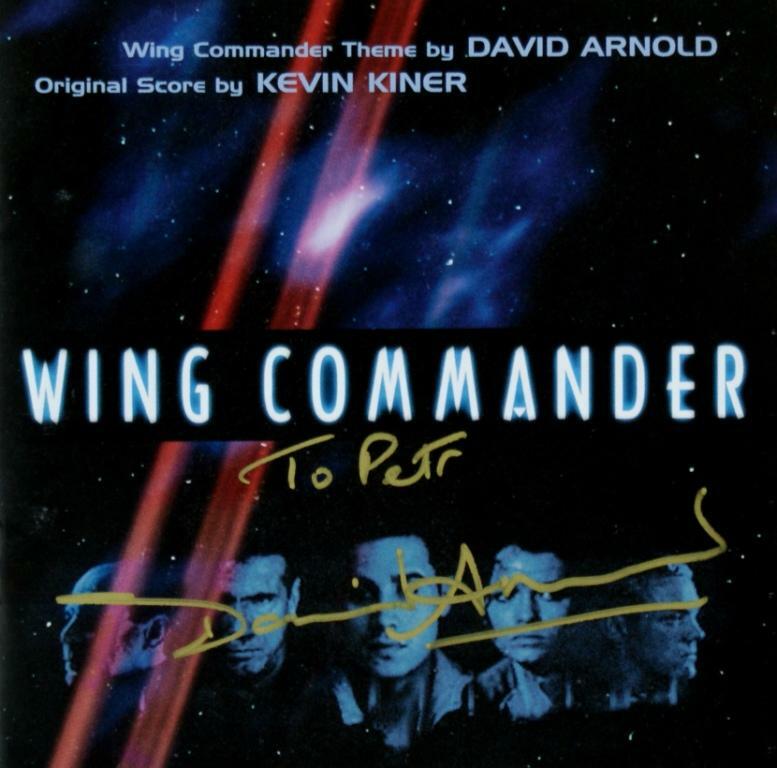 Arnold scored both of these using large traditional orchestral forces, in full heroic mode. 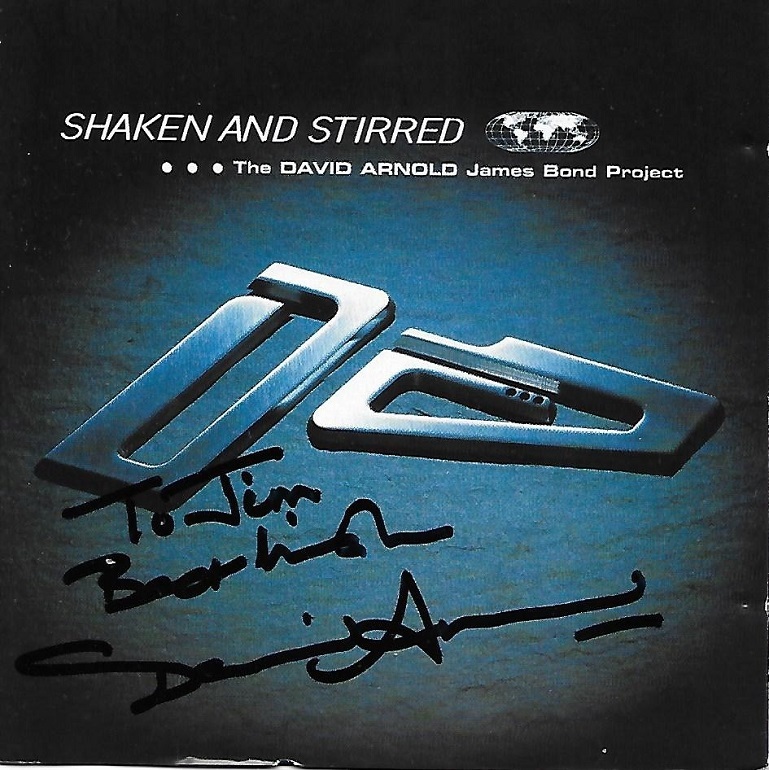 Though perhaps Arnold had his sights on another franchise because he put together a further calling card, his "James Bond Project" resulting in the album "Shaken and Stirred" which respected the work of long-time Bond composer John Barry yet updated and arranged his well-known classic Bond theme-songs and persuaded a variety of singers oand groups, including Leftfield, Pulp, Chrissie Hynde, Propellerheads and Iggy Pop to record songs for the album. The resulting album impressed Barry who (unknown to Arnold) wanted to leave the Bond franchise and he recommended Arnold to the Broccoli family the Bond producers. A "making of" TV programme was created during the recording of this album which has beenbroadcast on TV, and it is worth checking this out if you can. 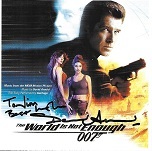 It was certainly not an easy task to take over from Barry and update and replace his classic Bond Sound. 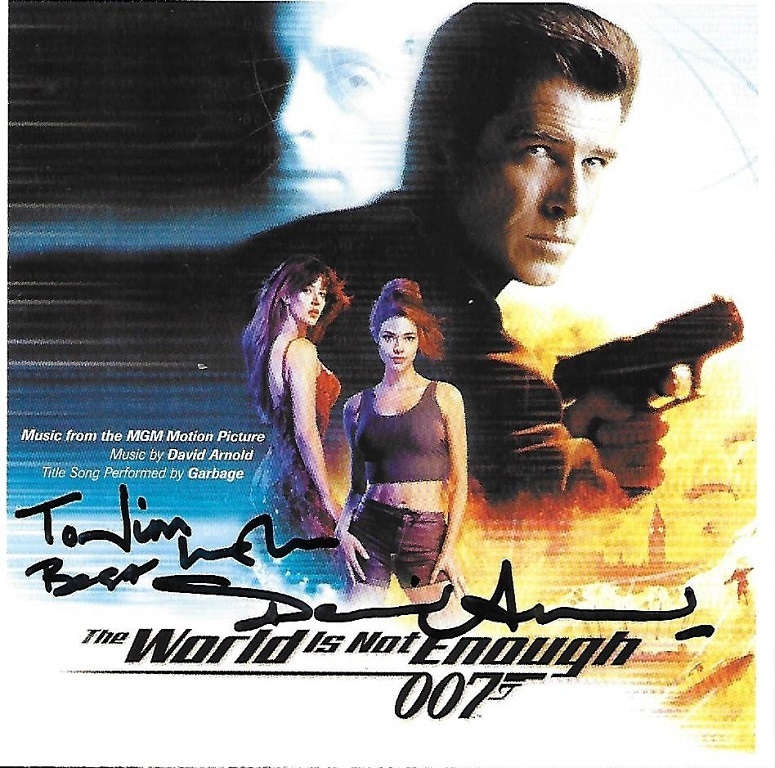 Yet he was asked to and delivered a new Bond Sound which built on the original classic Bond sound using its essential elements, incorporating driving rock rhythms and the use of today's technology in the production. The result works very well indeed. Arnold has now done the soundtracks for Tomorrow Never Dies, The World is Not Enough, "Die Another Day" (with Madonna singing the title theme and appearing in a small on-screen cameo), back-to-basics reboot of Casino Royale and its sequel Quantum of Solace. 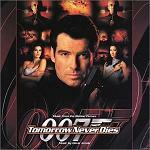 The action music is very techno at times, but the familar Bond landmarks are still there. 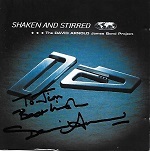 Though he worked with a number of singers on his "James Bond project", he has also collaborated with artists on their own songs. Notable examples of this include his work with Bjork on the hit song "Play Dead", and a song for Natasha and Daniel Bedingfield. 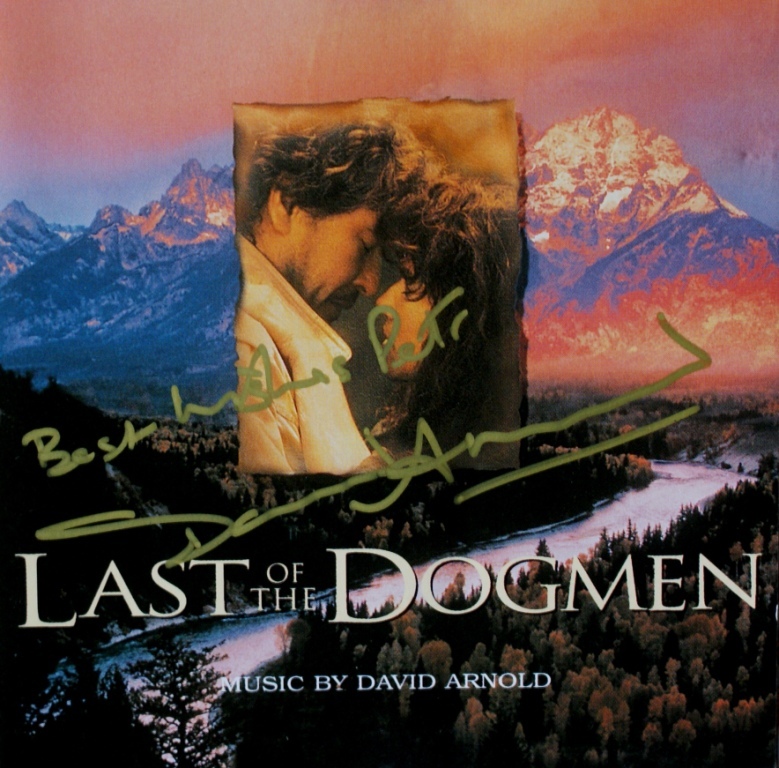 Recently Arnold was awarded an "Academy Fellowship" by BASCA, the British Academy of Songwriters, Composers and Authors, who own and host the Ivor Novello Awards. The award was presented by Bond lyricist Don Black who is also a Fellow at BASCA, with Matt Lucas and David Walliams from the TV series "Little Britain" in attendence. 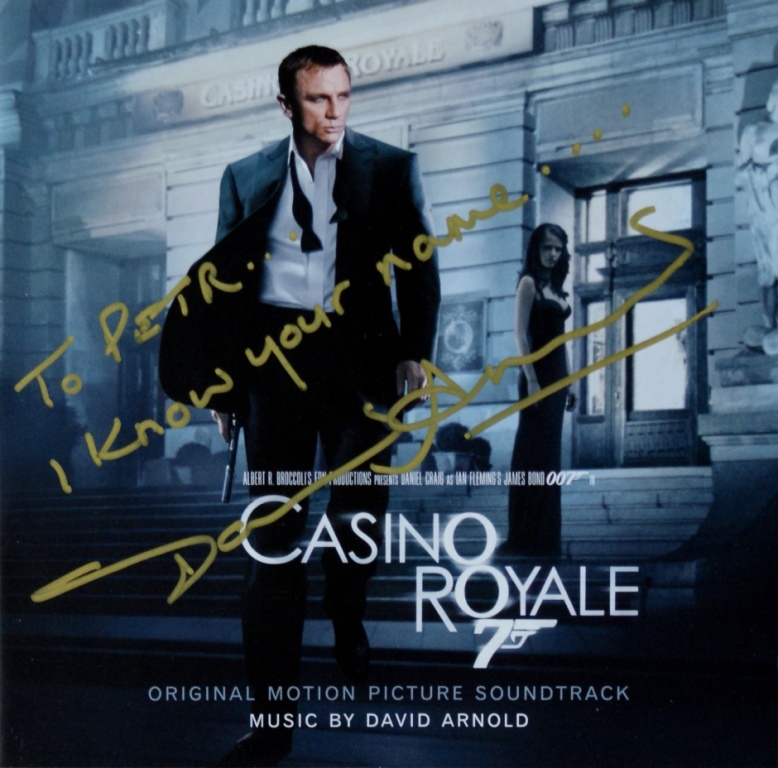 Arnold's score for Casino Royale ignores the techno trend of recent years to go back to the largely acoustic basics of the earlier films. Stylistically everything "Bond" is there except the main theme which is only briefly hinted at until the end titles where Bond becomes the James Bond that we all know. 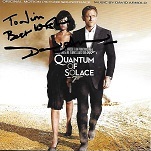 The "Casino Royale" soundtrack is available at these links: Amazon.co.uk and Amazon.com. Arnold seems to be a very busy man. He was one of the judges in the Audi Reel Talent Award, where the winning films were shown in London in September 2007. Then he was working with the Kaiser Chiefs in the BBC Electric Proms in October. 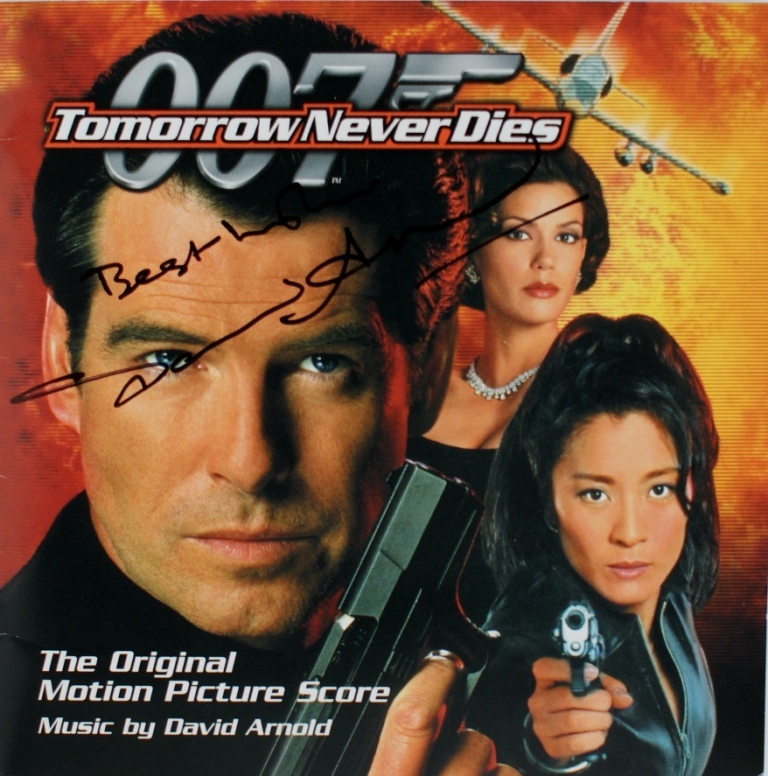 In another connection with Bond Music Arnold produced the latest Shirley Bassey album called "The Performance" in 2009. This is still receiving rave reviews and is available from Amazon.co.uk and Amazon.com. 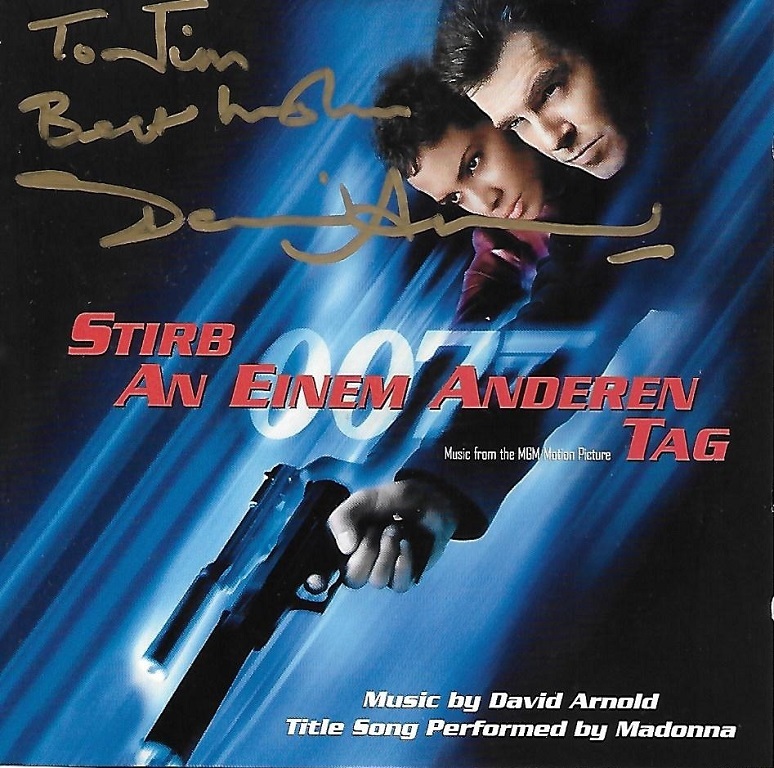 David is also an active supporter of "Care International", and has organised concerts to raise funds for the charity. 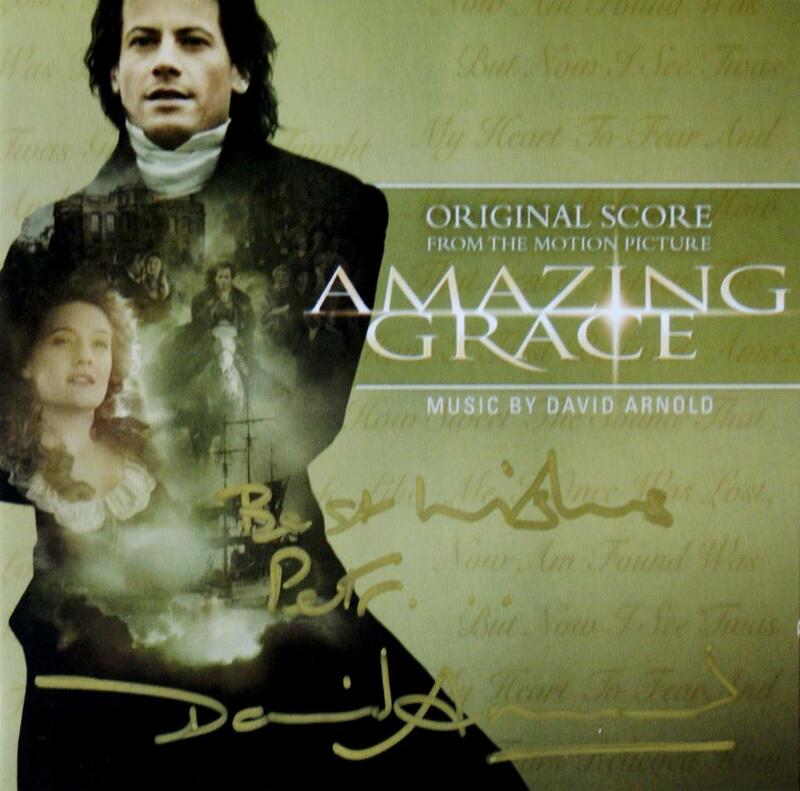 The 2010 "Concert for Care" was a major event, with a fantastic line-up to today's top film composers taking part. Like many soundtracks these days, David Arnold's original score for "Made in Dagenham" is not getting a CD release, but is available to download at Amazon.co.uk. If you're looking for it in other online stores, be careful you don't order the song album by mistake! 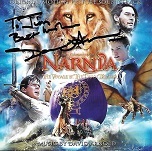 However "The Chronicles of Narnia: The Voyage of the Dawn Treader" most definitely has a soundtrack CD release - check our Soundtrack Review for details. 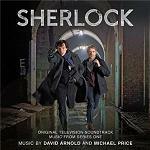 Two Series of Sherlock both jointly composed by David Arnold and Michael Price are so far available on CD. Sherlock Series 1 is at Amazon.co.uk and Amazon.com, while Sherlock Series 2 is at Amazon.co.uk and Amazon.com. Series 3 & 4 are also now available. Sheet Music from Sherlock (for piano solo, or violin and piano) is available from the Michael Price website. 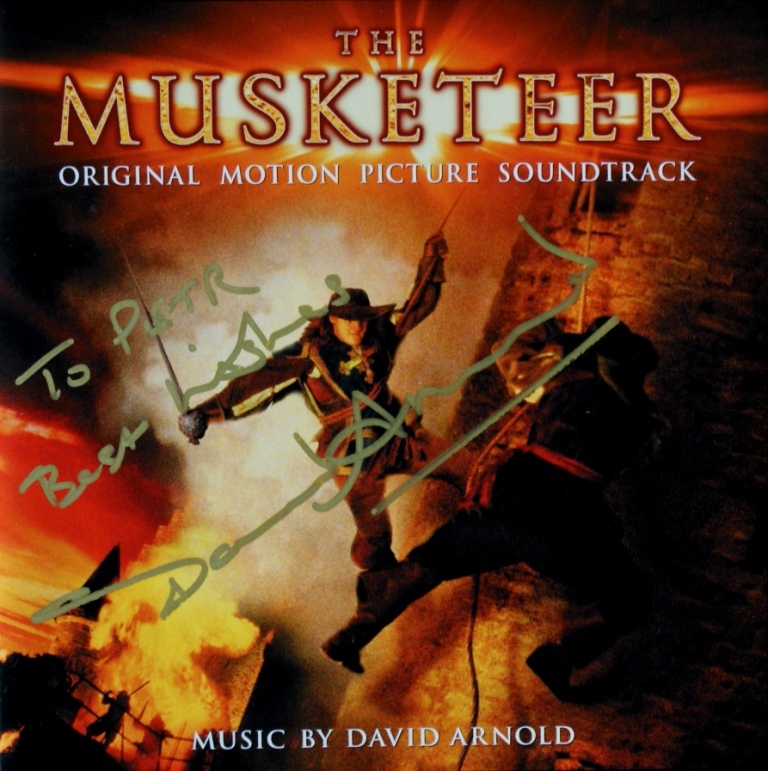 In addition to his ongoing work on Sherlock, David Arnold had a very busy period while working on the music for the London 2012 Olympic Games. Specifically, his role was that of Musical Director for the Closing Ceremony and for the Paralympics, and unfortunately that meant that he was not available to score the new Bond film "Skyfall", though director Sam Mendes brought in Thomas Newman with whom he had previously worked. 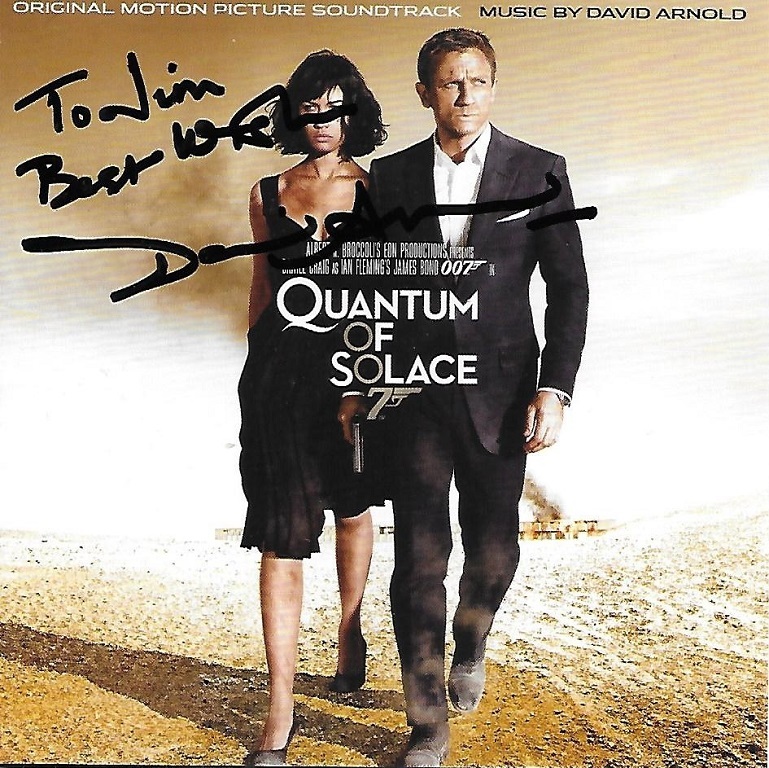 Nevertheless Arnold's track "The Name's Bond... James Bond" was used on both Skyfall and Spectre. 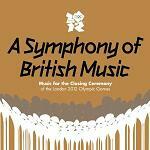 Arnold's work on the Olympics has been spectactular - see our review of A Symphony of British Music, a double album of music from the Olympic Closing Ceremony. 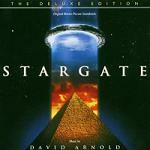 This includes some heroic tracks by David Arnold and music by so many popular artists selected by Arnold. In a new departure for the composer, a stage musical version of "Made in Dagenham" has been conceived and its world premiere took place in London's West End in 2014. 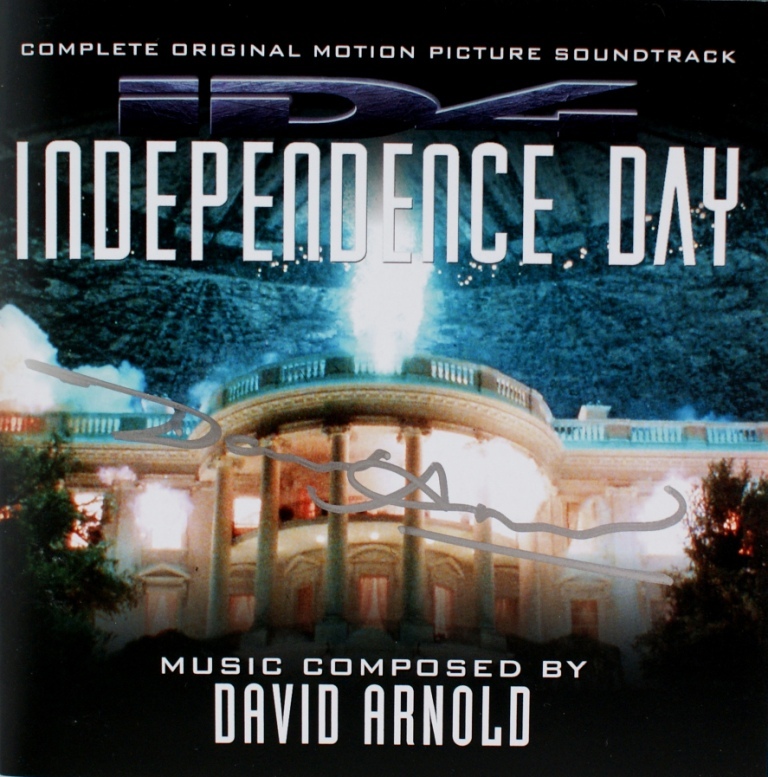 Independence Day - exciting stuff, effortlessly moving from gung-ho heroics with bits of pomp and circumstance to the nasty un-American aliens! 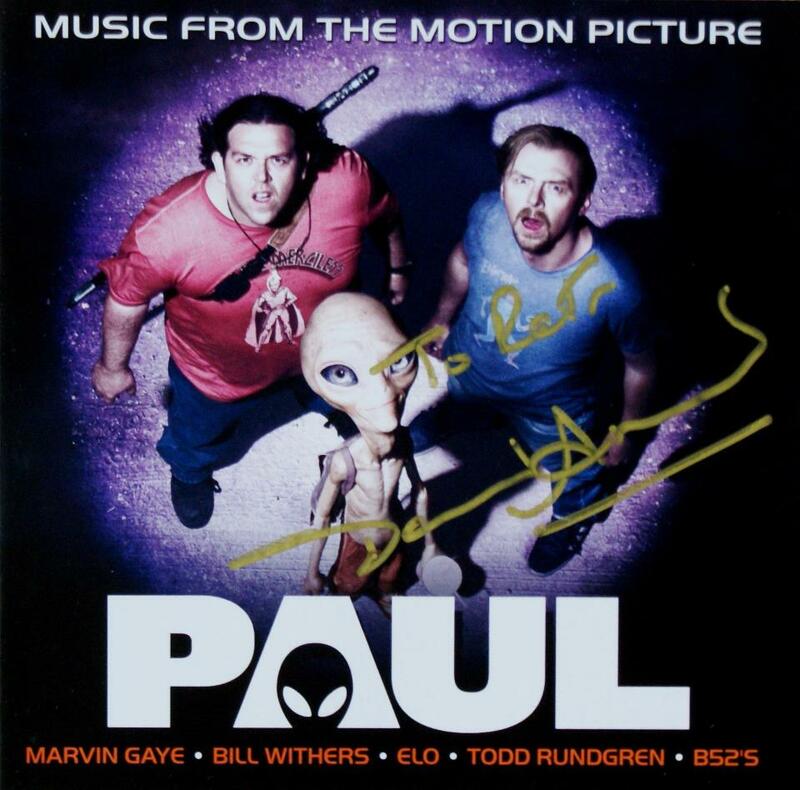 Zoolander - some small sections of underscore between the song tracks including a starring role for Frankie Goes to Hollywood's "Relax"
Paul - some nice elements of pastiche, but the best track is an arrangement of John Williams' Cantina Band from Star Wars played by "Syd Masters and the Swing Riders"
The "Shaken and Stirred" album is an excellent introduction to the work of David Arnold including cover versions of Diamonds are Forever, Moonraker, Thunderball, Live and Let Die and a short but truly amazing version of From Russia with Love sung by Natacha Atlas. (See the amazon links below for more details.) 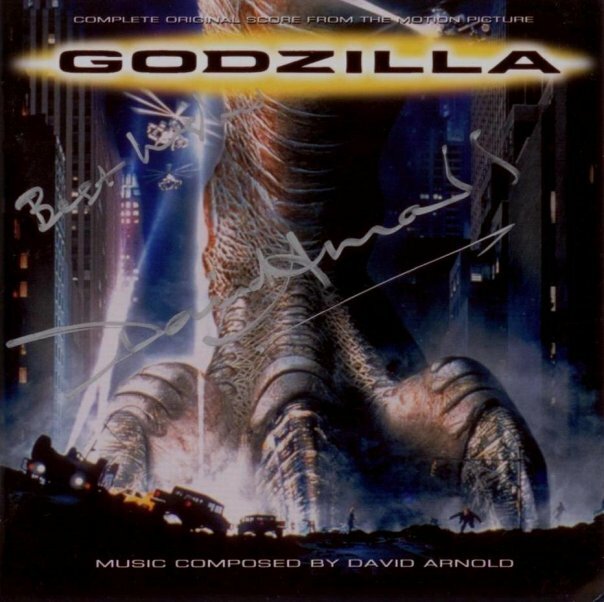 One track recorded as part of the project but not for some reason included on the album is You Only Live Twice - sung by Bjork. 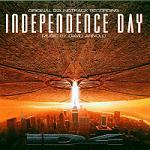 Piano sheet music is available called "Themes from Independence Day" from International Music Publications, including Flyers' Theme, Presidential Theme, Hiller's Theme and the Alien Attack Theme all integrated into a overture for piano solo. 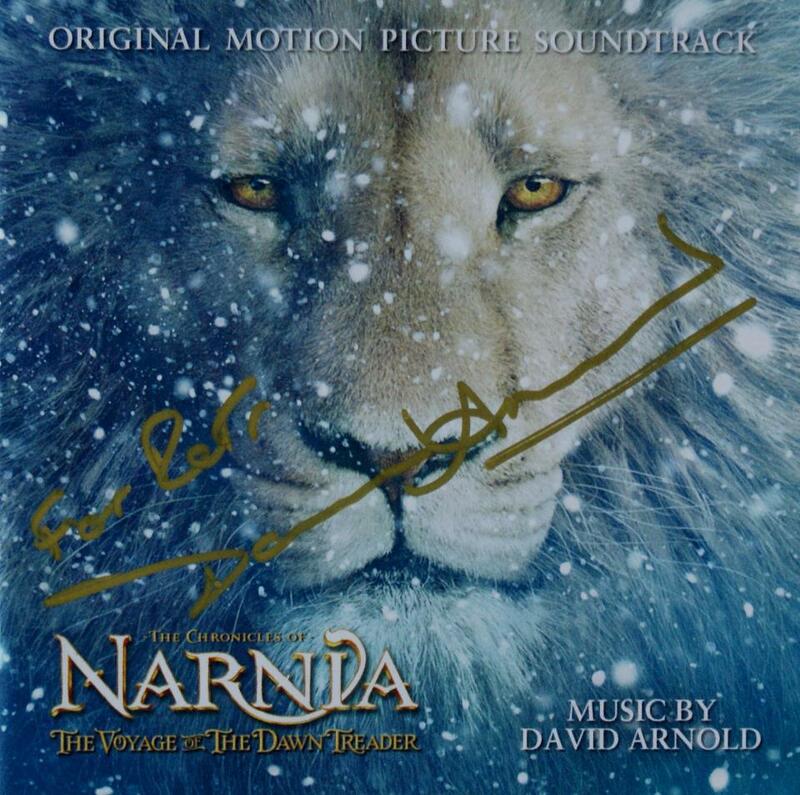 The David Arnold official website is at www.davidarnold.com. Here are some CD covers signed by David Arnold. 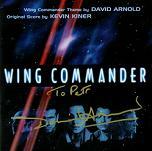 Our thanks to Petr Kocanda for permission to use his collection of autographed CDs. Click any thumbnail to see the image full size in a separate window.